Monopoly capitalism creates the export of capital and modern imperialism, the subjugation of nations. The struggle of oppressed nations for liberation and national equality against imperialism is a direct struggle against monopoly capitalism and aligns with the fight of the working class against exploitation. Workers in imperialist nations must support liberation struggles of oppressed nations in their own interests. 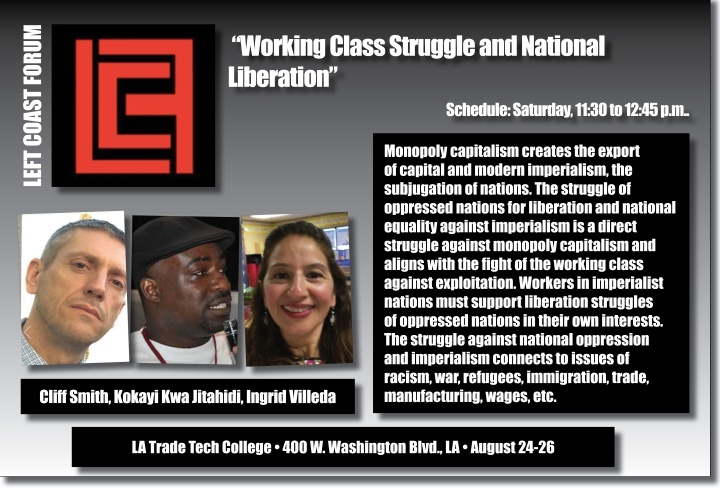 The struggle against national oppression and imperialism connects to issues of racism, war, refugees, immigration, trade, manufacturing, wages, etc.